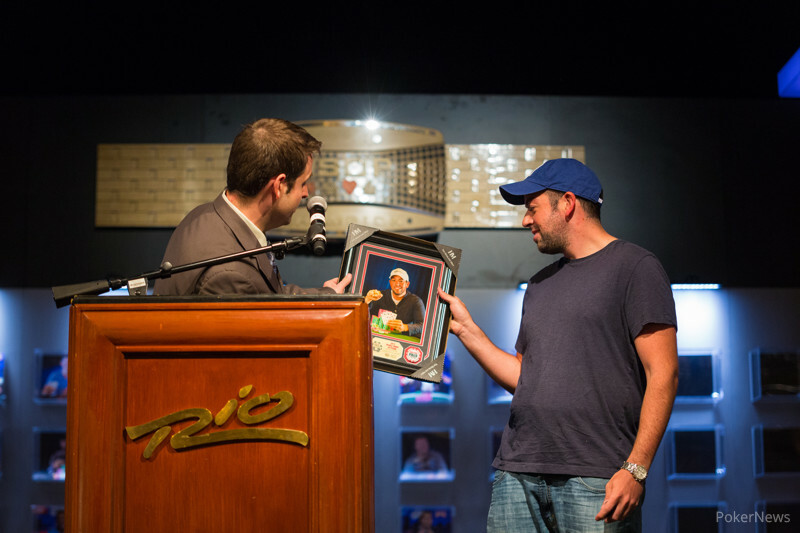 For many years, Steve Gross was better known by his online poker handle — "gboro780" — than by his actual name, his successes at the online tables earning him copious notice as he consistently ranked as one of the best players on the virtual felt. He'd added some live scores to those successes, too, over the years, but the one breakthrough win had eluded him. 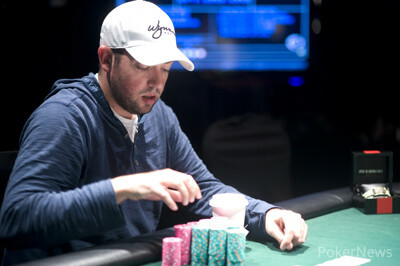 Until today, that is, as Gross has become the latest WSOP bracelet winner after topping a field of exactly 400 to win Event #41: $5,000 Pot-Limit Omaha (Six-Handed). Down to two tables, play slowed as players dropped one-by-one, with Timo Pfutzenreuter ultimately grabbing the chip lead away from Lee Goldman and maintaining it as the reached the dinner break with seven left. Then on the first hand back from the break Yevgeniy Timoshenko was eliminated in seventh to bubble the final table, and just six remained with Pfutzenreuter still in front. But by the time Nader Arfai (6th), Lee Goldman (5th), and Joseph Leung (4th) had been eliminated, Gross had pulled back into the top spot three-handed. That battle saw Salman Behbehani come back from a short stack to take the lead briefly, but then Gross took out Pfutzenreuter in third to take a chip advantage to heads-up play. Behbehani battled gamely against Gross for more than 40 hands, but could never grab the lead away, then down to a short stack lost his first all-in to finish runner-up. Congratulations to Steve Gross for adding an impressive live achievement to his long list of online scores by winning his first WSOP gold bracelet and a $488,817 payday. Thanks as well for following our coverage of Event #41: $5,000 Pot-Limit Omaha (Six-Handed) here at PokerNews. Hand #123: Steve Gross raised to 180,000 from the button, and after looking over his cards and contemplating a bit, Salman Behbehani exhaled and said he was raising all in for his last 380,000. Gross called the raise. The flop came , missing Behbehani and hitting Gross's seven. The turn was the , still no good for Behbehani. The dealer then burned a card and delivered the river… the . The sevens were still good, but Gross's boisterous rail hesitated for a moment to make sure that their man had indeed won. Soon it was apparent, though, and an excited roar erupted as Behbehani stood and the pair met to shake hands. It was a great run for Behbehani, ending in second for a $300K-plus prize. 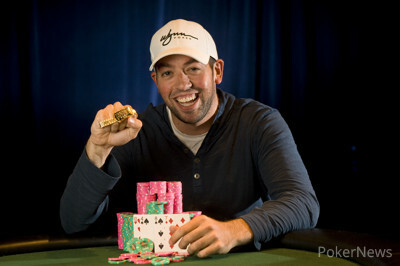 Hands #117-#118: Steve Gross raised to 130,000 and won, then Salman Behbehani raised the pot to 180,000 and won. Hand #119: Behbehani got a walk. Hand #120: Behbehani limped in and Gross checked. The flop came , and Gross check-called a bet of 120,000 from Behbehani. The turn was the . Gross bet 210,000 this time, and Behbehani folded. Hand #121: Gross limpped, Behbehani checked, then both checked the flop. The turn was the . Behbehani checked, Gross bet 60,000, and Behbehani folded. Hand #122: Behbehani limped in and Gross checked. The first three community cards came and both players checked. The turn was the . Gross bet 60,000, and Behbehani folded. Hand #113: Steve Gross limped and Salman Behbehani checked. The flop came . Behbehani checked, Gross bet 65,000, and Behbehani called. Both checked the turn. The river brought the . Behbehani checked, Gross bet 150,000, and Behbehani folded. Hand #114: Behbehani limped, Gross checked, then both checked the flop. The turn was the . Gross checked, Behbehani bet 115,000, and Gross folded. Hand #115: Gross raised to 130,000 and Behbehani folded. Hand #116: Salman raised to 130,000 and Gross called. The flop came , and both checked. The turn was the and Gross bet 125,000. Behbehani called. The river was the . Gross bet 275,000 and Behbehani called again. Gross showed for sixes full of aces, and Behbehani mucked. Hand #106: Salman Behbehani raised to 130,000 and Steve Gross called. They checked the flop. The turn was the , and Gross check-called a bet of 100,000 from Behbehani. They then checked the river. Salman showed , Gross , and they chopped as both had queens. Hand #107: Gross raised to 130,000 and Behbehani called. The flop came , and Behbehani check-folded to Gross's bet of 150,000. 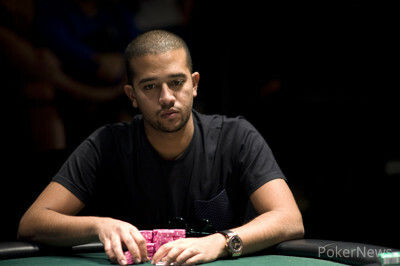 Hand #108: Behbehani raised to 130,000, Gross three-bet to 360,000, and Behbehani folded. Hand #109: Gross bet 130,000 and Behbehani called. The flop came . Behbehani checked, Gross bet 135,000, and Behbehani folded. Hand #110: Gross got a walk. Hand #111: Gross limped, Behbehani checked, and both checked the flop. The turn was the , and Salman bet 120,000. Gross called. The river brought the and a bet of 225,000 from Behbehani, and when Gross raised to 600,000, Behbehani folded. Hand #112: Gross got a walk. Hand #105: Steve Gross limped, Salman Behbehani checked, and the flop came . Behbehani checked, Gross bet 60,000, and Behbehani called. The turn brought the . Behbehani checked again, and this time Gross bet 180,000 and Behbehani called. The river was the , and Behbehani bet the pot — 600,000. Gross called, and Behbehani showed for a seven-high straight. Gross showed two of his cards — — and mucked the other two. Hand #98: Salman Behbehani limped, Gross potted to 180,000, and Behbehani called. The flop came . Gross bet 250,000 and Behbehani called. The turn was the . Gross bet 625,000 this time and Behbehani folded. Hands #99-#103: Five straight raise-and-take hands with Gross raising his button 125,000 and Behbehbani his 130,000. Hand #104: Behbehani raised to 130,000 from the button and this time Gross called. The pair then checked the flop and turn. The river was the . Gross bet 100,000, and Behbehani called. Gross showed and Behbehani — both had ten-high straights and they chopped the pot. Hands #91-#92: The players exchanged walks. Hands #93-#94: Steve Gross raised to 125,000 and won, then Salman Behbehani raised to 135,000 and won. Hand #95: Gross limped, Behbehani bet the pot (180,000), and Gross folded. 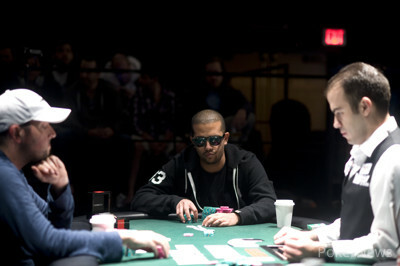 Hand #96: Behbehani raised 135,000 from the button and earned Gross's blind. Hand #97: Gross raised to 125,000, Behbehani called, and both checked the flop. The turn was the , and when Behbehani bet 170,000, Gross folded. Hand #90: The first hand back from the break saw Salman Behbehani raising to 135,000 from the button and Steve Gross calling. Both checked the flop and turn. The fell on the river and Gross responded with a bet of 200,000, and Behbehani called. Gross showed for top set of kings, and Behbehani showed his . "Really?" said Behbehani afterwards. "Wow, we could have got it in."